MARKETERS AND THOSE languishing at the bottom of Liberia’s economic ladder are making their voices heard. In emotional appearances in a KMTV report last week, many at the Duala Market expressed frustrations at the rising foreign exchange rate, the shutdown of three-day calls and the complications they are encountering being forced to purchase goods in US dollars. THE MARKETERS’ LAMENT come in the aftermath of last week’s World Bank Spring meeting where the Liberian delegation reportedly received a rude awakening and what one member of the delegation acknowledged to FrontPageAfrica, was “a very rough meeting at the World Bank”. THE COUNTRY’S DELEGATION at last week’s spring meeting sought the bank’s backing for the implementation of its ‘Pro-poor Agenda for Prosperity and Development’ (PADP), the government’s national development agenda for the next few years of its term in office. FINANCE & ECONOMIC Planning Minister Samuel Tweah, during discussions had issues such as investment in private sector, domestic revenue mobilization, digital economy and social safety net, which are in line of the PAPD, placed before the donor partners for consideration. DESPITE THE GOVERNMENT pleading with these international partners support, authorities at the Finance Ministry disclosed: “The World Bank had already earmarked US$106 for three key sectors, including education — US$50M, water and sewer — US$30M, and Public Financial Management — US$26M.” However, the Liberian Government would have to develop a logical framework and a rationalized time bound matrix for the utilization of this money. THE LAMENT ALSO COMES as the International Monetary Fund appears reluctant to give Liberia a favorable response to its request for its financing programs which provides member countries the breathing room, they need to correct balance of payments problems. FRONTPAGEAFRICA HAS LEARNED that an IMF mission is heading to Liberia in May or June to assess Liberia’s macroeconomic position, mainly balance of payments and fiscal position. The delegation will reportedly demand a review all GoL’s fiscal and monetary records after which they will propose appropriate prescriptions for negations. The board will have to approve before a final decision is made on Liberia’s request. AN UNFAVORABLE REQUEST could prevent Liberia from being eligible for quick loans and quick fixes, a decision which could signal the start of a rather difficult road ahead for the George Weah-led government. THIS IS WHERE the coming months could prove pivotal for the government administrators. How effective can President Weah’s team put their egos aside for the good of Liberia? LIBERIA HAD REQUESTED an Extended Credit Facility (ECF), but one that if granted will come with conditionality similar to ones the government has been reluctant to follow so far. ACCORDING TO THE IMF, “its Extended Credit Facility (ECF) provides financial assistance to countries with protracted balance of payments problems. The ECF was created under the Poverty Reduction and Growth Trust (PRGT) as part of a broader reform to make the Fund’s financial support more flexible and better tailored to the diverse needs of low-income countries (LICs), including in times of crisis.” Most experts agree that the current Liberian economic crisis is deep and very challenging that requires the kind of belt-tightening and austerity measures the Weah administration may find difficult to implement. ACCORDING TO SOURCES, the IMF, as part of its conditions, is requiring the government of Liberia to put in a hiring freeze and consider reducing the country’s punishing public wage bill, which is now devouring more than 72 percent of recurrent expenditure. There are reportedly more than 90 thousand persons on the public payroll, an increase of 20,000 from the previous Ellen Johnson Sirleaf administration. Liberian officials were also warned to desist from using scarce foreign exchange reserves to support the value of the country’s domestic currency. These two conditions alone if implemented will come with political consequences that a government unsure of its standing with supporters may have difficulties in accepting. Some economists believe the equilibrium rate of the Liberian dollar to the US dollar is 200+ considering current slow or now growth and volatility in prices of the country’s two primary commodity exports. Although iron prices rose last week to around 95 dollars, the quality of Liberian ore, low FE content and high in phosphates cannot fetch high prices on international commodity exchanges and in fact are deeply discounted in transactions between Liberian producers and their end users. UNDER THE LEADERSHIP of President Ellen Johnson, Liberia in 2010 received a new lease on life after more than a decade of war when the World Bank’s International Development Association (IDA), the part of the Bank that provides interest-free credits and grants to the poorest countries, and the International Monetary Fund (IMF) declared that Liberia had qualified for complete debt relief after meeting the required benchmarks, putting Liberia at the “completion point” under the Heavily Indebted Poor Countries (HIPC) Initiative and leading to total debt relief of US$4.6 billion. SOURCES TELL FPA that Liberia has been told that the IMF needs more time to evaluate its request and is not confident that the government has presented a program that will convince the monetary body that it is capable of paying back. Liberia is competing against 200 member-countries who lobby annually for the credit. THE IMF FALLOUT means that administrators of the government’s economy have done the opposite of what the IMF delegation recommended following their meeting to Liberia in March – more deficit and off-budget spending – and breaking the rules of the IMF game. ACCORDING TO SOURCES, the IMF is requiring the government of Liberia to put in a hiring freeze and consider reducing the country’s punishing public wage bill, which is now devouring more than 72 percent of recurrent expenditure. There are reportedly more than 90 thousand persons on the public payroll, an increase of 20,000 from the previous Ellen Johnson Sirleaf administration. Liberian officials were also warned to desist from using scarce foreign exchange reserves to support the value of the country’s domestic currency. These two conditions alone if implemented will come with political consequences that a government unsure of its standing with supporters may have difficulties in accepting. Some economists believe the equilibrium rate of the Liberian dollar to the US dollar is 200+ considering current slow or now growth and volatility in prices of the country’s two primary commodity exports. Although iron prices rose last week to around 95 dollars, the quality of Liberian ore, low FE content and high in phosphates cannot fetch high prices on international commodity exchanges and in fact are deeply discounted in transactions between Liberian producers and their end users. THE GOVERNMENT IS ALSO facing a tall order All this as tens of millions of dollars have been borrowed from the Central Bank of Liberia (CBL) with slow or non-payment from the government. Despite warnings from the IMF in their last Article IV consultation in March, the government continues to spend more money than it collects. CONSULTATIONS BETWEEN LIBERIAN officials and experts of the World Bank and IMF were brutally frank. 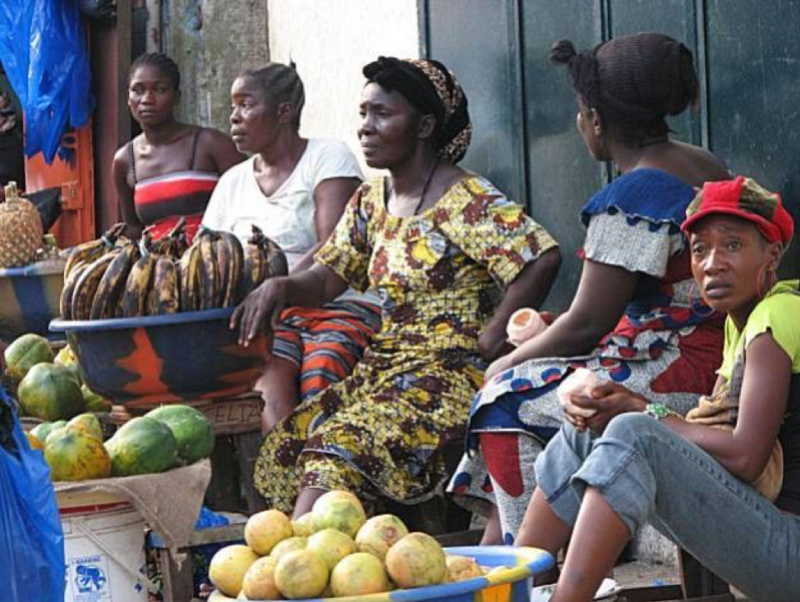 IMF officials reminded Liberian officials about findings in the Article IV Consultations of March 8, 2019, which showed the country’s economy would experience a slower than expected growth rate of 1.2 percent in 2018 and disturbingly, the economy would grow at only 0.4 percent instead of the earlier projected 4.7 percent. Liberian officials were warned in March about the administration’s loosened fiscal stance, wherein the Weah administration was spending more than it was collecting in revenues. MACROECONOMIC INSTABILITY WAS demonstrated by a 26 percent depreciation of the Liberian dollar resulting in headline inflation at 28 percent. Despite these dire circumstances outlined in the report, IMF officials expressed disappointment that Liberia had not taken measures to address the issues especially when current economic conditions would undermine the government’s own vaunted Pro Poor Agenda by increasing poverty. LIBERIA CONTINUES TO ENGAGE in off budget spending, and increasingly vast amounts of money on presidential and official foreign travels, manifested in the large delegations to the inauguration of Macky Sall in Senegal, and ironically an unusually high number of officials attending the current World Bank IMF Spring meeting in Washington DC. Sadly, one of the strongest points raised in the IMF report was a request to Liberian fiscal authorities to refrain from borrowing from the Central Bank of Liberia (CBL). Unfortunately, the request was not heeded and government continues creating overdraft on its consolidated account at the CBL. IN ADDITION TO THE OBVIOUS signs of a dwindling economy, echoes and chatters of a planned protest scheduled for June the 7th is generating a lot of buzz both in and out of Liberia. THESE GLARING SIGNS ring memory of Liberia’s more recent past when rulers and leaders failed miserably to take a cue from their predecessors, resulting in chaos, confusion, coups, civil wars, and flight into exile of its citizens. LIBERIA HAS COME a long way and the end of a brutal civil war; three successive elections and a political transition should serve as the impetus for the current leadership to work toward maintaining at all cost. IGNORING THE CRIES of the people is a recipe for disaster and potential conflict which is why it is important that President Weah takes the necessary steps toward appeasing key stakeholders and reverting the course of Liberia’s political and economic survival. WHEN A CERTAIN group of Liberians felt disrespected, neglected and abused on April 14, 1979, they took matters in their own hands with a rice riots still vivid in the memories of many. Organized by the Progressive Alliance of Liberia (PAL), headed by the late political activist Gabriel Baccus Matthews against the backdrop of a proposed increase in the price of a 100lb bag of rice from $22 to $26, the protest was followed a year later, by a bloody coup d’etat staged by 17 non-commissioned officers of the Armed Forces of Liberia (AFL) that led to the overthrow of the grand old True Whig Party (TWP) of the then Liberian government. ON NOVEMBER 7, 2011, the current ruling party, in the opposition at the time, staged a massive protest against election results of the presidential elections which led to the death of at least one person. THE SIGNS ARE APLENTY for the current powers of the day. But if evidences of past transgressions are anything to go by, all is not late for the government to make adjustments and avoid the pitfalls that led Liberia down a spiral slope of greed, bad governance and a recurring state of political and economic uncertainty.